Our wide range of highly interactive E-Learning training courses are designed to offer learners total flexibility which can be completed at a time and place convenient to the learner. All our courses provide learners with the skills and knowledge they require to positively contribute to health and safety in their workplace. Training can be completed on multiple devices and allows each individual to learn at their own pace and to start, pause and resume their training at any time. To ensure learners fully understand the course content they are required to complete a multiple choice assessment at the end of each module and on successful completion are able to print off their own certificate. For a FREE TRIAL, please click on a course below. 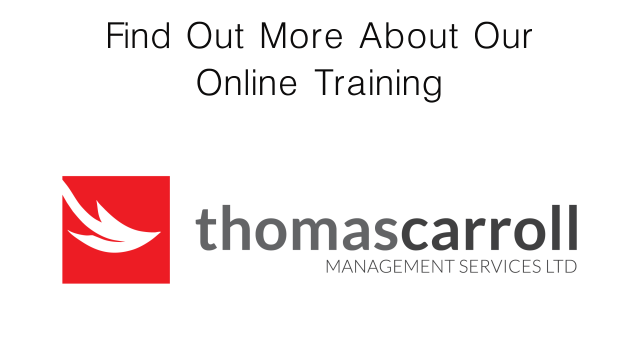 Browse our suite of online Health & Safety training courses below. Please note that listed course prices do not include VAT. What is Emergency First Aid? Well it’s exactly that, the first aid to be offered if an incident occurs. Not many of us are confronted with scenes of blood and gore in our everyday lives – so usually first aid could be as simple as sticking a plaster on a small cut. But what if you did find yourself confronted with a more serious situation? In the most serious situations, a first aider’s role will be to assess the scene so that accurate information can be passed to the Emergency Services and then to act appropriately to try and increase the patient’s odds of survival. This Emergency First Aid course will highlight some of the most common situations that you might come across and the actions that you can take to help. Asbestos is probably the most dangerous building material ever used. Widely used by the construction industry right up until the year 2000, every year thousands of people fall ill and die because of exposure to asbestos. The Control of Asbestos Regulations (CAR) 2012 apply to employers, employees, self employed persons and duty holders and cover all work with asbestos containing materials. Regulation 10 of CAR states that every employer must ensure that adequate information, instruction and training is given to employees who are liable to be exposed to asbestos. This includes maintenance workers and others who may come into contact with or disturb asbestos. Current legislation set out by the Health and Safety at Work Act 1974 along with the HSE’s updated code of practice known as L8 which was published in 2001, states that companies and building owners have a legal duty to manage Legionella. Our interactive, video-based training course is aimed at all employers and staff to assist them in identifying the danger that Legionella poses, as well as covering ways to identify and assess sources of risk from Legionella in the premises and implement and manage a control programme. This course is aimed at anyone who uses abrasive wheels or employs people who use abrasive wheels as part of their work. There are a wide range of tools and processes that use abrasive wheels and ensuring these are used correctly and safely is of paramount importance. Applications range from hand grinding to disc cutting. They can be used at all stages of a work process, for making preliminary cuts and scores in materials, or for fine polishing and finishing. Different wheels will have different properties and characteristics suitable for particular tasks. They also have different weaknesses and can pose different risks and hazards in handling and use. This course covers what you need to know about the Control of Substances Hazardous to Health (COSHH). It’s aimed at anyone who is exposed to substances hazardous to health at work, as well as line managers with responsibility for such people. So what do we mean by ‘substances hazardous to health’? In legal terms, these are substances that are classified as “very toxic, toxic, harmful, corrosive or irritant” under the Classification, Labelling and Packaging Regulation (CLP). This was a new regulation that came into force in January 2009, dovetailing with a set of regulations called REACH. REACH is a European Union regulation concerning the registration, evaluation, authorisation and restriction of chemicals, which came into force on 1st June 2007. One of the main aims of REACH is to provide a high level of protection for human health and the environment from the use of chemicals. These courses are aimed at users of display screen equipment (DSE) and those responsible for assessing display screen equipment. A ‘user’ is anyone who regularly uses display screen equipment for a significant part of their normal work. In practice, if you use display screen equipment continuously for more than one hour a day, then you’re a ‘user’. So, what do we mean by display screen equipment? The first thing most people think of is a computer monitor. But that’s not the only thing it refers to. Display screen equipment could also mean laptops, tablet PCs, televisions, smartphones, CNC control pads, portable diagnostic screens or equipment containing cathode ray tubes, or CRTs. The Health and Safety (Display Screen Equipment) Regulations contain special directives covering DSE safety. Both employers and employee-users have responsibilities under the legislation. These courses fulfil your statutory training obligations and covers among other things, the correct way to set up and use your display screen equipment safely, reducing the risk of work-related conditions. Current legislation, the Regulatory Reform (Fire Safety) Order 2005 applies to all workplaces regardless of the number of employees and requires employers to provide adequate training in fire awareness for all members of their staff. Our online fire safety training courses are aimed at all employees to assist them in identifying and reducing the risk that fire presents in the workplace and it is a cost-effective way for employers to fulfil their legal obligation to provide their employees with the necessary understanding of fire awareness. Food handlers and their employers have a legal duty to manage food safety. These obligations are set out by a number of EU and UK laws. These laws state that food handlers must make sure that food which is prepared, cooked, served or sold is safe for human consumption. Failing to follow food safety standards can cause food to become contaminated with potentially fatal consequences. Training your employees with our online system will go a long way to give them greater awareness of the dangers that poor food safety standards pose, as well as covering how food safety risks actually arise and how to control and prevent them. Manual handling, or to be accurate, incorrect manual handling, is one of the most common causes of injury at work. To try and combat manual handling problems, the Manual Handling Operations Regulations were introduced. The regulations lay out duties for both employees and employers. They give a general requirement that employees must be trained to manually handle correctly, including the use of any equipment their employer provides to handle loads safely. Important note: Please note that this is an awareness course only. If your duties include manual handling you will also need further practical training. You can get in touch with us to arrange this. This course is aimed at anyone who undertakes work at height, or who employs people who regularly work at height. The term work at height applies to a wide range of situations ranging from the obvious ones like working on platforms, ladders, scaffolds or stages to working alongside deep trenches. This is because the crucial thing to understand about work at height is that it’s not how far you climb, but how far you can fall. ‘Falls’ doesn’t just mean people falling from heights. If materials or equipment fall, that will obviously present an equally dangerous hazard to anyone below. All working at height situations are covered by health and safety legislation. Chief among these is the Work at Height Regulations 2005. These regulations confer legal duties on employers and employees to assess, control and minimise risks and hazards from work at height. This course covers topics including the dangers of working at height, the regulations, the hierarchy of controls, assessing risk and much more. Important note: Please note that this is an awareness course only. If your duties include working at height you will also need further practical training. You can get in touch with us to arrange this. Working safely is in the interest and concern of all staff – both the employers and employees. Although most of the legal duties fall to the employer, health and safety law is one of the few pieces of legislation that places duties on the employee as well. There are three reasons for managing risk at work that bring benefit for all concerned – moral; not causing harm to work colleagues, legislative; the law requires it! – And finally, financial; all accidents bear a cost to both parties. Workers have an expectation to go home at the end of the working day not having been injured by any workplace activity. Most workers feel that accidents are something that only happens to other people. The reality is that too many workers are coming to harm by not observing health and safety laws and not working to safe systems of work. That’s where our working safely course can help. The course covers why we should work safely, defines hazard and risk, identifies common hazards, how to improve safety performance and protect the environment. Training is a big part of changing attitudes towards taking risks in the workplace and can make a real difference. This course will cover the legislation associated with working in confined spaces. What constitutes a confined space, the potential hazards, safe operating procedures, emergency procedures and rescue. Important note: This is an awareness course only, designed for people who need to be aware of the hazards and risks of confined space working but are not required to enter a confined space. If you are required to perform any work activity in or in the proximity of a confined space, then you will also need to have an ‘approved’ standard of practical training at the ‘appropriate’ level. The Construction Design and Management Regulations cover the management of health, safety and welfare when carrying out construction projects. Whatever your role in the construction industry these regulations are there to improve your health and safety. They are intended to ensure that projects are planned and run effectively and safely right from the start. This awareness course covers the core concepts of the regulations and details the various roles that are required for a construction project along with the key documents that need to be produced. It starts with an introduction to CDM, then covers some of the parameters that need to be checked when a project is being planned. It finishes by detailing a number of example projects that illustrate how the regulations can be applied. Risk assessment is a systematic method of looking at work activities, and considering the things that could cause significant harm to people, property or the environment. The most important purpose of risk assessments is to help prevent accidents and ensure the safety of employees and anyone affected by workplace activities. At the end of this course, candidates will have an understanding of what a risk assessment is and how to complete one. To achieve this the course will define important terms, provide some basic background information to explain how important risk assessments are and discuss some of the legislation that applies. It will then go on to provide practical advice on how to identify hazards and analyse risk before finishing off by explaining the responsibilities of both employers and employees with regards to risk assessment. Electricity is the lifeblood of modern society. It enhances our quality of life and we are becoming increasingly reliant on it to power tools and devices we use for work and entertainment. However, although electricity has many benefits it can also be a hidden killer as it can’t be seen, felt, smelled or heard until someone comes into contact with it. This course will start by covering the many benefits electricity brings to society, as well as its key components’ voltage, current and resistance. It will explain the two main types of electricity, cover UK accident and death statistics, and describe a simple way of remembering the electrical hazards. It then goes on to provide basic instructions about how you could safely help someone you suspect has received an electric shock. Towards the end of the course, you’ll get an overview of the main standards, guidance and legislation that control the use of electricity in the workplace and finish off by looking at simple maintenance plans and portable appliance testing, including who within an organisation would be best to carry out the various checks. Noise at work can cause hearing damage that is permanent and disabling. This damage is preventable if the right steps are taken but once your hearing has gone it will not come back. It can also interfere with communications by stopping people from being able to understand or follow conversations and it can make verbal warnings or alarms harder to hear. These issues can lead to further safety risks that put people at risk of injury or even death. This course will show you how dangerous noise can be in the workplace, and the main safety issues you should be aware of. It will take you through some of the simple science, the main laws that apply and introduce you to noise level limits. It also covers some of the specific health risks and how to avoid them by producing risk assessments, action plans and through the provision of appropriate personal protective equipment. It concludes by examining how to provide information and instruction to employees, along with the most professional way to conduct health surveillance of the workforce. Slips, trips and falls account for almost a third of non-fatal injuries at work. It is a widely held belief that with just a few minor changes to working practices and attitudes this could be reduced significantly. This course will introduce you to some of the statistics relating to slips, trips and falls and dispel some of the myths surrounding them. It also touches on the law as it relates to slips, trips and falls. It contains real examples of where things have gone wrong and some practical steps that could have been taken to prevent these incidents. The course also covers some of the straightforward changes that can be made in most businesses to significantly reduce the risk of a slip, trip or fall incident occurring. The final module takes this to the next level and looks at it from a management perspective. At the end of this course you will understand health and safety legislation and be able to list common causes of accidents. You’ll also be able to understand good practice in relation to electricity and describe the use of safe manual handling techniques, good practice associated with COSHH regulations and your action in the event of a fire, as well as know how to deal with an accident. Positive Handling is a very serious subject. Knowing when and how to act in a difficult situation can be the difference between a positive outcome and a potentially career ending prosecution. This course will start by looking at some examples and statistics which highlight the seriousness and extent of aggressive pupil behaviour. It will then go on to explain how you can identify the stages of aggression and provide some tips on how you could de-escalate a pupil before they lash out. It also looks at where the law stands on this subject and finally best practice in theory if you ever do need to restrain a pupil. Intelligence indicates that further terrorist attacks in our country are ‘highly likely’. Experience tells us that the threat comes not just from foreign nationals, but from terrorists born and bred in Britain. It is therefore vital that our counter-terrorism strategy contains a plan to prevent radicalisation and stop would-be terrorists from committing mass murder. The Prevent strategy, published by the Government is part of the overall counter-terrorism strategy. This course starts with an overview of the Government’s Prevent strategy, and then looks at some of the reasons people become extremists. It goes on to cover the objectives of the Prevent strategy, how to base your actions on a risk-based approach, what to do if you are concerned and much more. Call a member of our team to discuss how our online health and safety training can benefit you or your organisation. Alternatively, fill out the contact form below.